Fall’s here, so stay warm. A majority of my clients are obsessed with the ash/cool blonde trend that we’ve all admired on pinterest & insta, so once in a blue moon I’ll get someone requesting a warm tone & I get overly excited. Warm colors show gold, copper, & red. 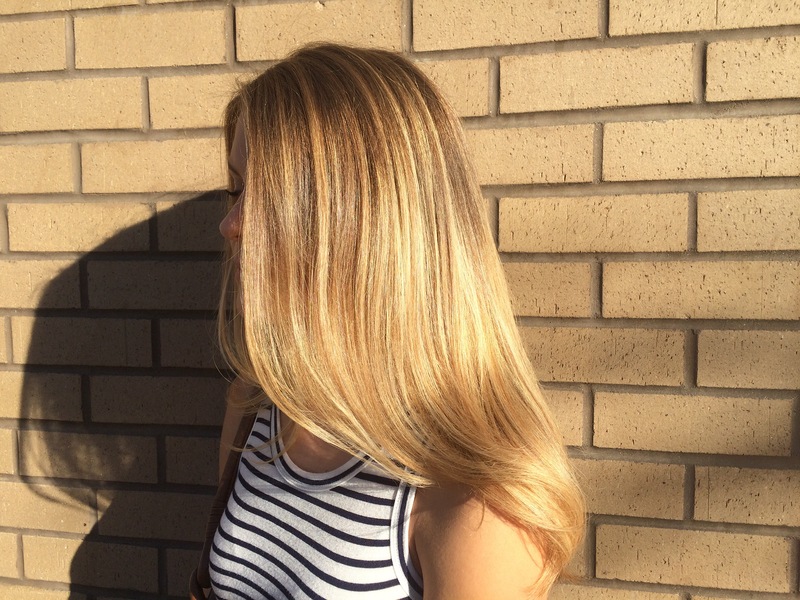 Personally, I’m a huge fan of the forgotten trend “golden blonde” which just screams California girl to me. Last week, I had a little girl from Orange County come in with the most beautiful warm, blonde hair & I asked her how it became so light & she told me she plays beach volleyball, exactly what I think of when I see this color. Warm tones will always hold a special place in my heart just because they give a more natural feel, like the color was given to you by soaking up the sun. Another of my favorite color pastimes is a rich copper. I feel as thought copper is often pushed to the side because people mistake it for orange or brassy, which is not the case, copper does not mean orange traffic cone! I feel like the perfect copper has a beautiful rusty finish & I love the way it looks on a blondie or brunette. Autumn is the time to put some warmth in your life. If you’re not ready to commit 100% instead of a permanent color service, I suggest getting a gloss (demi-permanent) so if you decide you miss your ashy locks, or even if you just like to play with your tone you easily can!